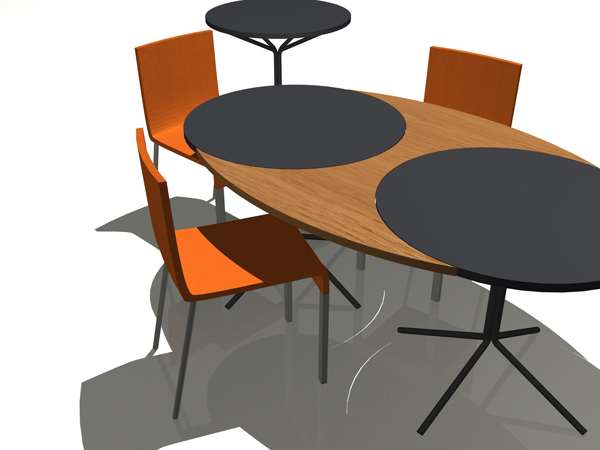 A client needed some cafe tables that would fit their space and budget, and I had trouble finding something that fit their needs and wasn't tiny. 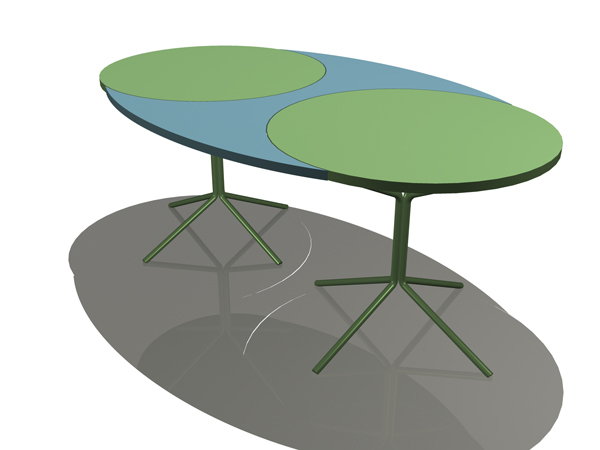 I came up with this design for a way to create an inexpensive table by combining two off-the-shelf tables from Design Within Reach (the affordable Pix table by Peter Schaffner) and a bridging element that unites two tables in a new configuration. 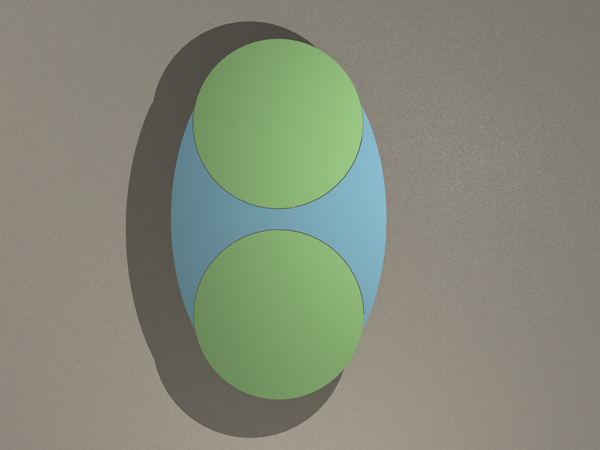 The strong graphic created by the new table top is inspired by Venn Diagrams. 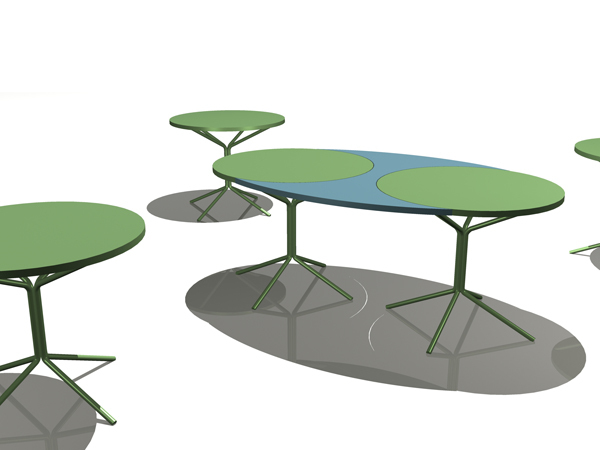 The new tables can be demounted and stored flat.